Madrid is a favorite holiday destination for Europeans as well as international tourists. It is the capital of Spain, and accurately highlights its culture and tradition. To get the real taste of Spain, you should visit Madrid, which is filled with intense culture, lively nightlife, delicious cuisine, awesome art, rich heritage, and much more. I personally had an opportunity to visit it for two days and totally on my own. However you can easily spend here more than two days. Madrid City appeals to people of various penchants as there is something for everyone to discover. Here is a list of things to do in Madrid. Let’s start with places where you can see Madrid from the top so add them to your itinerary now! Círculo de Bellas Artes: To capture the stunning views of the city and mesmerizing Madrid skyline, you should visit the top floor of the Círculo de Bellas Artes building. On most of the days, the building hosts art exhibitions, which are been attended by several travelers. In the evening, you should head straight to Azotea – Tartan Roof, which is a rooftop restaurant that offers the finest sights of Madrid. Teleférico Of Madrid: There cannot be anything better than viewing the Madrid skyline in an aerial cableway ride! The cable car runs about 40 meters above the ground and in the 10-minute journey you can catch a glimpse of some of the best views of the city. Your ride will begin from Parque del Oeste and end at Casa del Campo park, which has a zoo and an amusement park. Almudena Cathedral: The Almudena Cathedral is a beautiful piece of architecture that you should not miss exploring. When you visit the official cathedral museum, you can reach the central dome of the Almudena Cathedral, from where you can view the beautiful Royal Palace of Madrid and its amazing gardens. However, there are some rules to follow while visiting the cathedral like maintaining silence, dressing appropriately, keeping mobiles switched off, etc. Lighthouse Of Moncloa: The Moncloa Lighthouse, locally known as Faro de Moncloa is more than 100 meters high. When you reach the top of the lighthouse, you can have a 360-degree view of the impressive Madrid city. The lighthouse is closed on Mondays and the cost of its entrance ticket is €3 per adult. Children up to the age of 6 can enter for free and the ticket for children aged 7 to 14 years or those over 65 years’ costs €1.50. 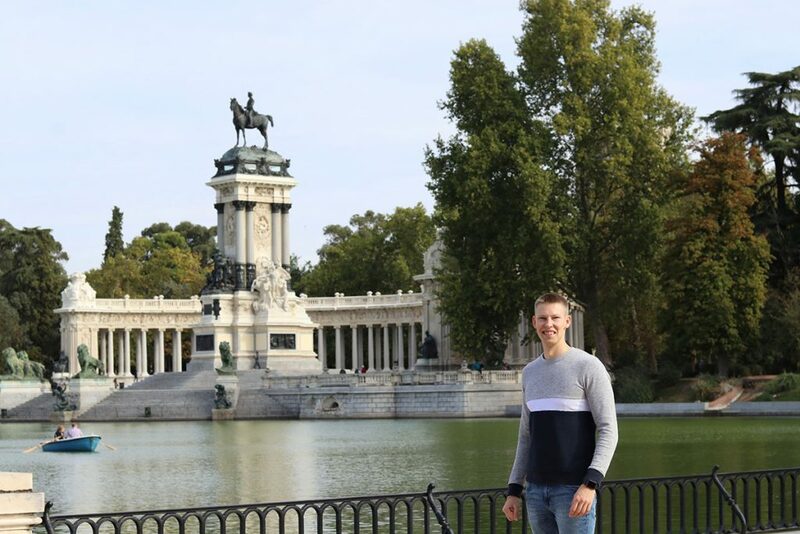 To view the real beauty of Madrid, you should visit El Retiro Park, which is filled with elegant gardens and magnificent monuments. Till the end of 19th century, El Retiro Park was a royal property and later on it was opened to the public. There are innumerable gardens in the 125 hectares of land that has more than 15,000 trees. Recently, in April 2018, El Retiro Park and Paseo del Prado have been selected as the candidacy to enter the list of World Heritage of UNESCO. Some of the activities that you can enjoy here with your family are paddling on the Grand Pond that has the famous Alfonso XII monument in the backdrop, running and skating in the play areas, renting a bicycle to enjoy the park on wheels, following the peacocks through the bushes, and much more. The El Retiro Park is open every day from 6am till midnight in summers and 10pm in winters, and entrance ticket is free for all. 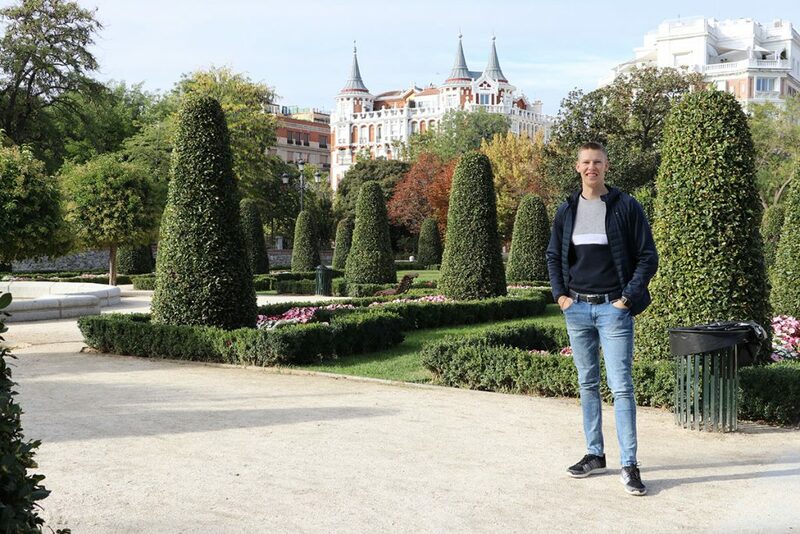 Even for a solo traveler like me in Madrid, it was fun to walk around and enjoy the beautiful park. 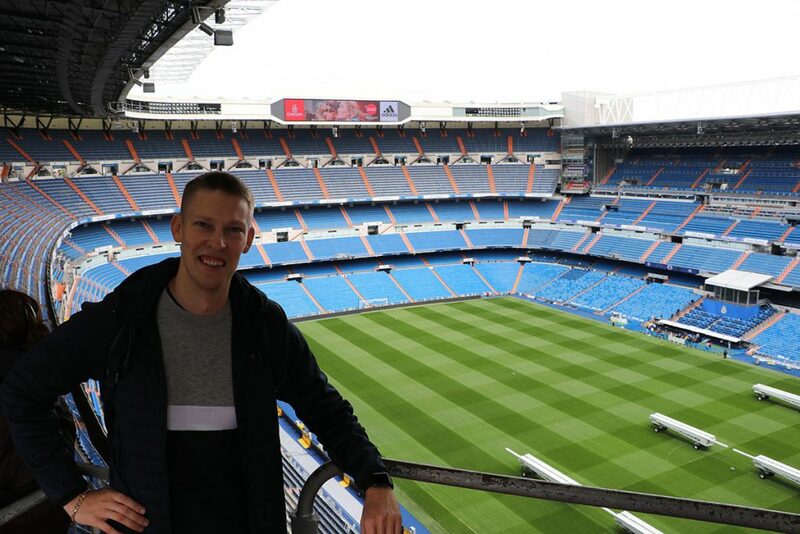 If you enjoy watching football live matches then you should visit the Estadio Santiago Bernabéu, which is the famous stadium of Madrid. The entrance ticket for touring through the stadium is €18 for children aged 5 to 14 years and €25 for all above 14 years of age. You can purchase the tickets online on their official website. If you are lucky enough then you may even be able to see a live match by buying tickets for the same. The Estadio Santiago Bernabéu had its first match in the year 1947 and since then there have been several matches that were held including the FIFA World Cup. The stadium has even hosted numerous large concerts of popular artists such as Bruce Springsteen and The Rolling Stones. I am personally not the biggest fan of football, but even for me, it was so much fun. I had the ability to walk around the stadium which is so huge as it has 81044 seats! And that’s not all! 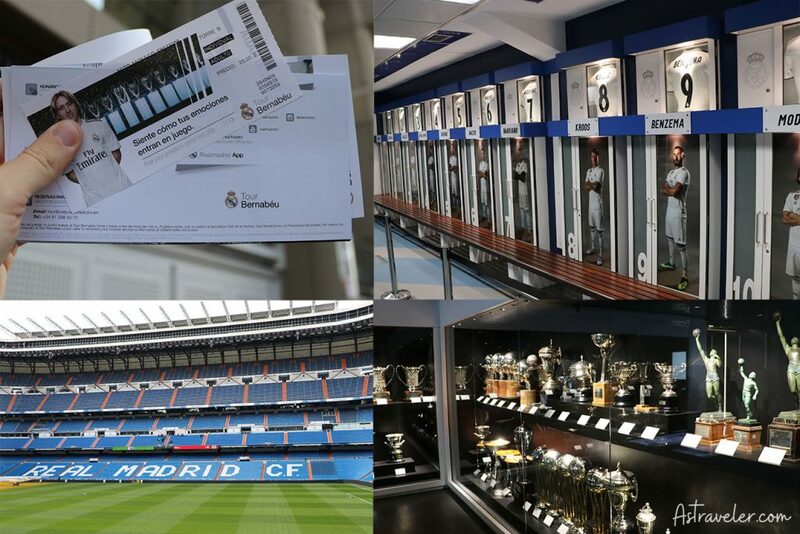 You Can walk inside the changing rooms, try the VIP chairs, visit the museum of Real Madrid and so on. I can imagine how interesting it would be for Real Madrid fans. 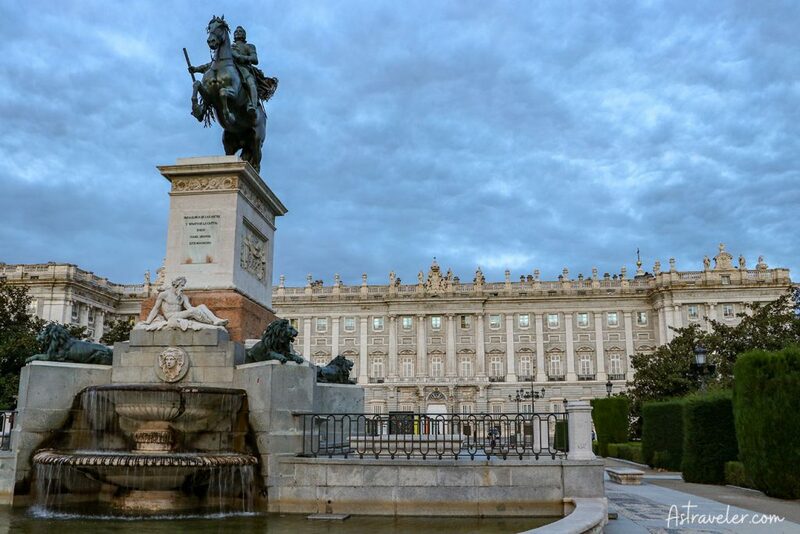 To discover the history of Spain, you should visit the Royal Palace Of Madrid, which is the official residence of the Kings of Spain. It is a magnificent palace that comprises of more than 3,000 rooms that have been designed and decorated meticulously. The paintings, weapons, armor, and artistic treasures of the royal family are worth-watching. If possible, then you should visit the palace on Wednesday or Saturday so that you can view the changing of the guard. To visit the palace, you need to purchase an entrance ticket that costs €10. However, there are some days when the admission to the Royal Palace Of Madrid is free for all. You can check the days and timings for free entry by clicking here. The Plaza del Arrabal, commonly known as the Plaza Mayor is an amazing piece of architecture that is located in the center of Madrid. There are nine entrances to the square and you will find plenty of markets and cafés in close vicinity that sell traditional Spanish items and authentic food. It is a major tourist attraction that is been visited by thousands of travelers each year. 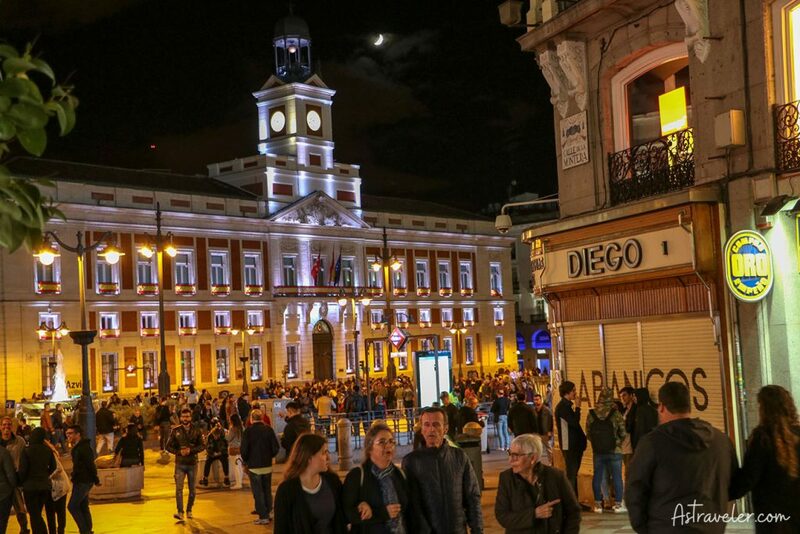 Some of the amazing events held at Plaza Mayor, Madrid are soccer games, bullfights, public executions, and much more. Every Sunday there is a philatelic market from 9am to 2pm. 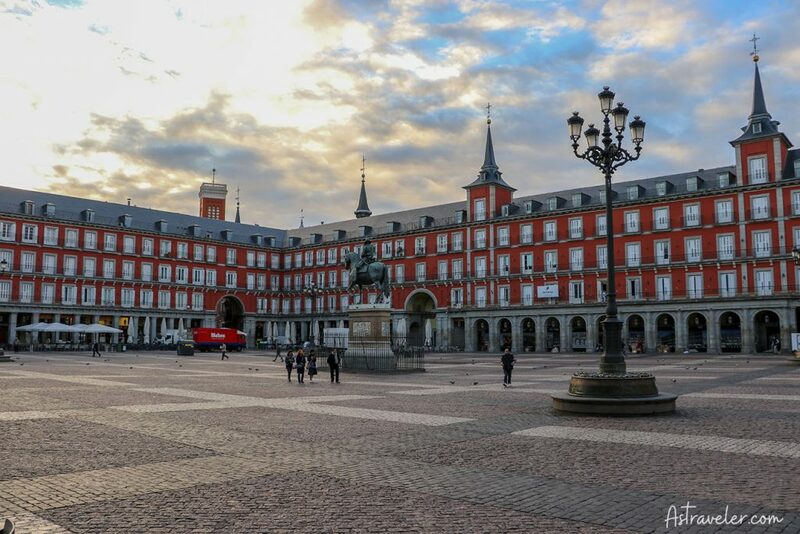 You can reach the Plaza Mayor by metro, bus or simply by walking it’s near the all main attractions. 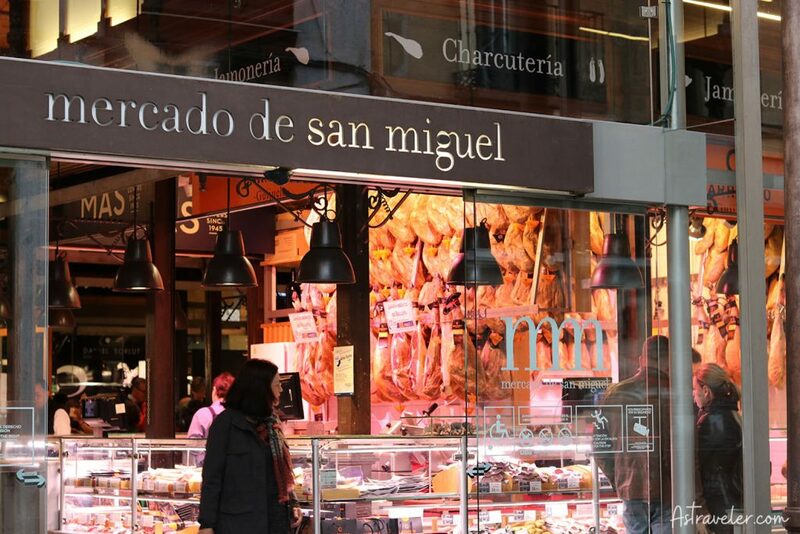 Mercado San Miguel is one of the oldest and most popular markets in Madrid. 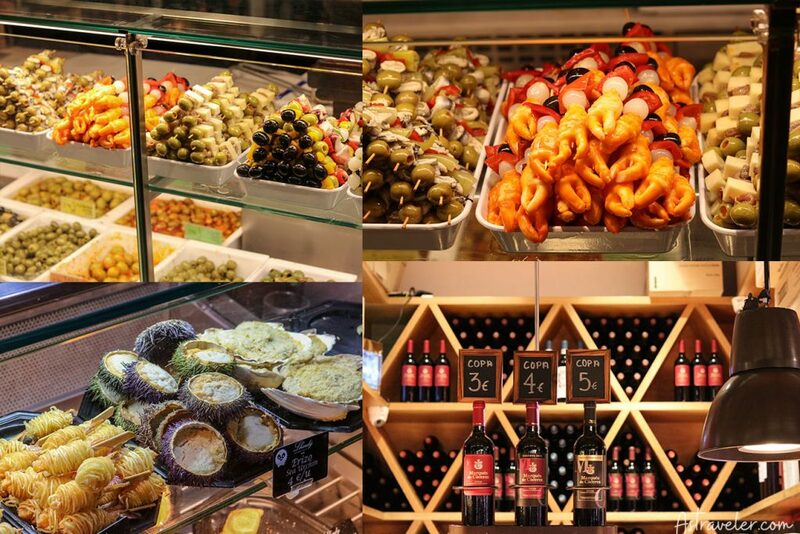 It is located a few steps away from Plaza Mayor, Madrid and is a major tourist destination for those who want to taste the authentic cuisine of Spain. You will find innumerable wonderful bars and colorful stalls that sell all kinds of meat, vegetables, seafood, fruits, and wines, among others. On your trip to Madrid, you should not miss visiting this stylish market that has 20th century glass walls and beautiful architecture. Usually, the market opens at 10 in the morning and closes at midnight. However, the timings change on holidays, festivals, as well as some days of the week. So, check out their opening hours before heading to this wonderful food market. I spent in this place for more than two hours because I fell in love with the variety of food and how it was served. Even though the prices are really high as you can easily spend there 20-30 euros and still not become full, you will still won’t regret it! For budget travelers, Room007 Select Sol will be an apt place to stay in Madrid. Here, you can either book a hostel sharing room or a private room. I took a private room and honestly it had a better style and comfort than some of the hotels. It is located in Chueca, which has innumerable restaurants, bars, and shops that remain open for almost the entire night. There are several types of private rooms available like duplex, room with balcony, twin sharing room, etc. Some of the services that you will get in private rooms are free Wi-Fi, air-conditioning, lockers, personal nozzle with key, towels, linens, toiletries, and much more. By booking a room here, you will be able to enjoy the nightlife of Madrid as well as spend your day in a fun neighborhood. The location in the picture is just a few minutes by walk away! To have a lavish stay in Spain, you should book a room at the Petit Palace Mayor Plaza, which is located in the center of Madrid. It is about 2-minutes walk from Opera Metro Station and 6-minutes walk from the Royal Palace of Madrid. Some of the amenities that you will get by staying here are free Wi-Fi, air conditioning, laundry service, complimentary breakfast, TV, whirlpool tubs, room service, free bike rentals, and restaurant with bar, among others. If you are traveling as a couple then you can select the private rooms and if there are kids traveling with you then you can pick the rooms that have bunk beds and can accommodate five people. The friendly staff and wonderful ambience will surely make your stay in Madrid a memorable one. The Hotel Nuevo, Madrid is a 4-star luxurious yet budget-friendly hotel, which is 2.7kms away from Madrid Chamartin railway station and 17kms from Royal Palace of Madrid. You can either book single bedrooms, twin sharing rooms, or triple sharing rooms as per your preferences. With every room, you will get innumerable facilities like free Wi-Fi, LCD TV, air conditioning, coffee corner, bathrobe, and minibar, among others. The restaurant of Hotel Nuevo offers a wide variety of traditional and international cuisines, which are based on seasonal products. To make your stay a relaxing one, you can book their professional massage service for an extra price. All in all, your stay in Madrid will be a comfortable one in Hotel Nuevo. The metro in Madrid is the fastest and easiest mode of public transport. The trains are extremely clean, well-connected and comprises of twelve metro lines. The first metro train starts at 6am and the last train is at 1:30am. During the rush hours, there is a train departing every two minutes and after midnight, you can get a train every fifteen minutes. There are different types of metro tickets available and depending on your preference, you can buy one. A single metro ticket for zone A and ML1 costs €1.50 – €2. You can even consider buying a 10-trip ticket that costs €12.20. In the 10-trip ticket, you can travel up to 10 times in Metro Zone A, EMT bus, and Metrobus. There are special tickets for traveling to and from the airport, which costs €4.50 – €5 and you need to pay an extra €3 as airport fee. Tourist ticket or the Tourist Travel Pass can be used for traveling on all public transport in Madrid. It is an inexpensive way to explore Madrid as you can travel unlimited times within a specified timeframe. There are different passes available so you can select and buy the one that meets your requirements. The passes can be purchased from any of the metro stations, tobacco shops, and other authorized dealers. You can purchase the Tourist Travel Pass for 1, 2, 3, 5, or 7 days depending on the number of days you are going to stay in Madrid. At the time of purchasing the Tourist Travel Pass, you will be given a Tarjeta Multi, which is a transferable smartcard. The card is provided for free of cost and is valid for 10 years. Whenever your pass expires, you can top up the Tarjeta Multi smartcard with another pass or pay-per-ride tickets. Personally for a two day stay in Madrid I didn’t buy any of the passes as it’s not difficult to reach everything by walk or with metro. There are many electric car rental services in Madrid, so if you want to explore the city by road then you can hire one of the cars. However, the car can seat only two people so it is not feasible for families. The car can be used only for the central area of the city, which comprises of eight districts that lies within M-30 zone. The advantages of hiring the electric cars are that you will be charged only for the amount of time that you use the car and you do not have to worry about charging its batteries. One of the famous electric car rental companies in Madrid is car2go. You can book a car for yourself by downloading their app, and its details can be found on their official webpage. The most economical way to discover Madrid is by renting a bike. Cycling will not only keep you healthy but also let you enjoy the city at your own pace. You will find several areas that are providing bikes on rent for few hours or days. As there are several bike-friendly lanes in Madrid, it becomes extremely fun to rent a bike. You can either check this website to know bike rental services or book it online through oBike app and ofo-Smart Bike Sharing app by visiting Google Play and iTunes. Do not hire a taxi to visit multiple destinations in Madrid, as the drivers will re-start the taxi meter after the first stop. Take good care of your belongings in crowded areas as well as Madrid metro because there have been some past cases of pickpockets and bag-snatchers. 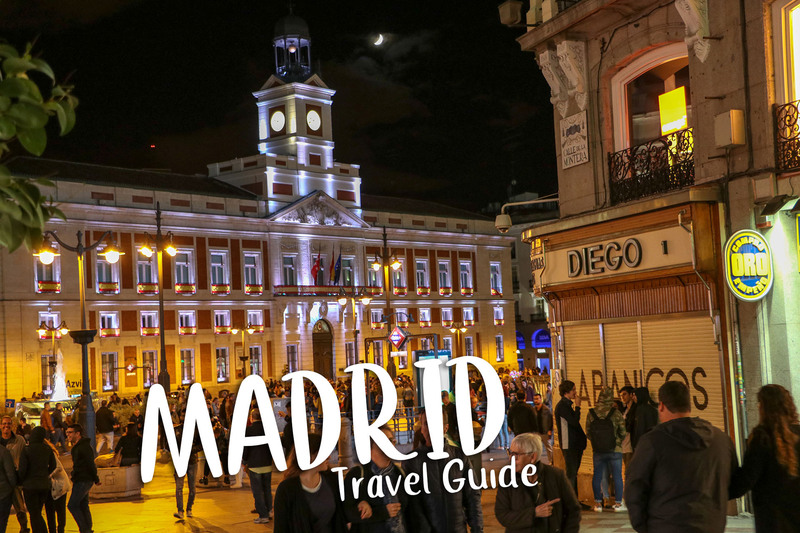 If you are traveling to Madrid for a short weekend trip then you can drop your suitcases and other belongings at a convenient left-luggage office so that you can explore Madrid without any worries. Do not click pictures of street performers without tipping them as they may feel offended. Most of the attractions are close to each other, so if you love walking then I suggest you to just take a walk and enjoy the Madrid vibes. Overall, Madrid is a city full of life and culture. You should plan your trip to Madrid in such a way that you spend at least 3-4 days in exploring it well. A quick weekend will not do justice to this amazing city as there are so many art museums, manicured parks, and architectural masterpieces waiting to captivate you. My name is Aistis and I am a traveler from Lithuania. 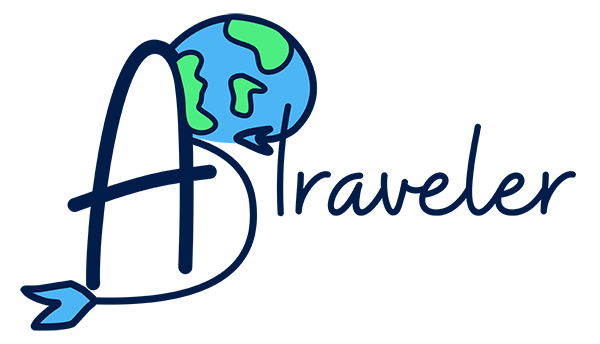 So far I visited 40 countries and still actively counting!